The Pacific Crest Trail Days or PCT Days are almost here! August 28th-30th, 2015 at Marine Park in Cascade Locks, Oregon will be the 9th annual Pacific Crest Trail Days. PCT days packed full of fun through free classes & activities, raffles, local food and beverages but there is so much more. PCT Days also offers hikes, bike rides and weekend camping along the beautiful Columbia River Gorge. Learn about The Osprey Anti-Gravity Challenge below. 10 am – 7:00 pm: Osprey Packs – The Osprey Anti-Gravity Challenge. 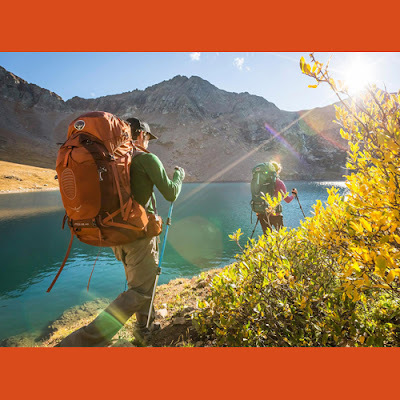 Swing by the Osprey booth anytime on Saturday, 8/29, try on one of our their award-winning, revolutionary, newly-designed Atmos AG or Aura AG technical backpacks and you will automatically be entered to win one to call your very own! Osprey is giving away an Atmos and Aura AG 50 as well as an Atmos and Aura AG 65(4 packs total!) Also, don’t miss free Osprey Packs Sizing’s, Fittings, and Expert Advice! Osprey Packs will provide free pack sizing’s, fitting and usage advice with the experts at their booth. Just swing by the booth anytime and the Osprey team will be ready to help…whether you need to know your proper torso/hip size, need a pack recommendation for an upcoming trip, or want to know where we pack our bear resistant food container when needed in The Sierra!